Chile – a country and destination well known especially for its adventure and outdoor travel experiences – hasn’t necessarily been a leader when it comes to sustainability. 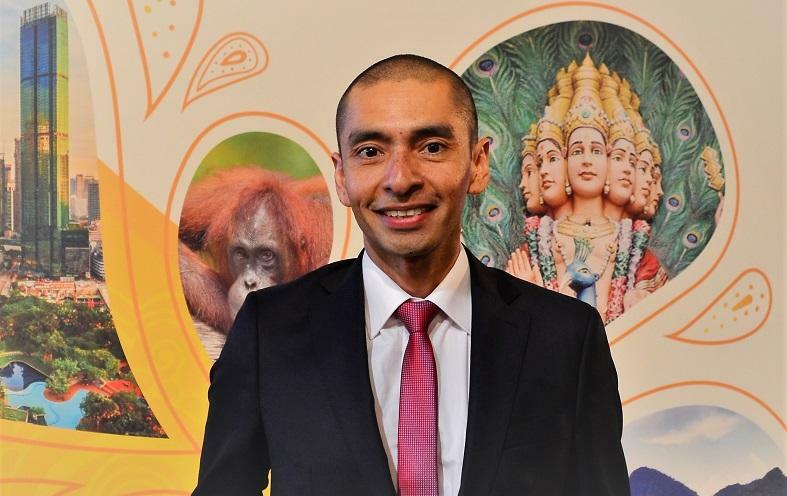 Yet, more and more communities are now starting to embrace sustainable tourism planning, as Felipe Vera Soto tells us in this interview. I met Felipe first in Santiago, the Chilean capital, and then again at ITB in Berlin this March, where he received the green destination award on behalf of the city of Natales in Southern Chile. Felipe, on behalf of the Chilean city of Natales you just received recognition for its sustainability initiatives, at the Green Destinations awards in Berlin. How does it feel to be on stage with world’s most proactive destinations focused on a more sustainable tourism? I am very grateful for the opportunity that the city of Natales has given me to hear my opinions and views regarding tourism sustainability, which has meant that in less than one year we are listed among Green Destination‘s TOP100 Sustainable Destinations worldwide and the 3rd best in America, after Galapagos in Ecuador and Thompson-Okanagan in Canada. In your view, what makes Natales a leading, “green” destination – and different from other destinations in Chile? Due to its geographical location, Natales has a vocation of nature thanks to its proximity to the Torres del Paine National Park, which has allowed the development of the tourism value chain. The municipality of Natales has been a pioneer in the elimination of single use plastic and the creation of a committee of tourism sustainability, a public-private partnership. It includes the academy with a focus on improving the living conditions of the people, thanks to the conservation of heritage. 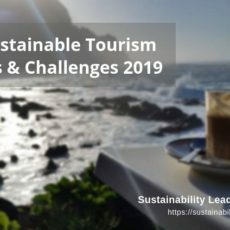 Having worked for accommodation, tour operator, the educational system and as advisor to destinations, which would you consider the main challenges right now in Chile, in terms of advancing its sustainability as destination? The main problem that Chile faces in tourism is the lack of professionalism in the industry. The lack of technical knowledge means that many people talk about sustainability but in reality apply practically nothing. The lack of practical and local-scale policies is also a gap that must be minimized, in order to really start the journey towards tourism sustainability in Chilean destinations. Judging from your experience, which factors or trends within the country might support or hinder a better, more responsible tourism in Chile? Currently, the tourism industry in Chile is not making the necessary efforts in terms of sustainability. There are just a few low-impact actions. We need to improve those and move faster, to make sure local communities benefit from tourism. Political decision-makers need to work with well-trained tourism professionals, and support the creation of destination management organizations. Reflecting on your work so far, also as member of the UNWTO Panel of Tourism Experts, which would be your key insights, or lessons learned? First, how quickly the tourism industry has changed in such a short time. More and more visitors are coming to Chile, but we have no adequate destination planning. When talking about sustainability 10 years ago, few understood the importance. But now there is a base of consciousness that grows every day. Another very important element is to have data that allows to improve the management of the impacts of tourist activities in the destinations. I believe that the UNWTO International Network of Sustainable Tourism Observatories initiative (INSTO) is very important in this regard, especially for emerging destinations. How can tourism help conserve natural and cultural heritage, and support the diversification of local economies? Tourism, if managed correctly and with an active participation of the local community – supported by professionals – can be a valuable source of income for local economies. It can empower minorities and help to make a community’s economy more resilient, and less reliant on revenues generated through farming or mining, for example. One community which applies the principles of tourism sustainability very well, in my opinion, is Lake Budi in the Araucania Region, where Mapuches Lafkenches did an excellent job many years ago. 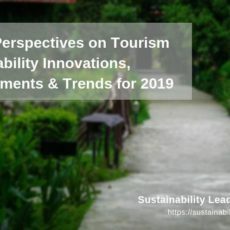 As country ambassador for the Green Destinations initiative, which destinations around the world would you consider the most innovative right now in how they approach sustainability issues and opportunities in tourism? Many European destinations are leaders in various aspects. However, I really love how Slovenia has evolved as a country and destination, with a very clear strategy. This is a good example for us to learn from in South America. Costa Rica, of course, has been a leader in ecotourism for many years and New Zealand with its proposal of community work is something that I am very passionate about. You are also a founding member of the Global Leaders Network. Why did you join – and what is this about? The network of global leaders was founded in September 2018 in the Netherlands with the mission of promoting the Sustainable Development Goals of the United Nations linked to tourism. It is a network of professionals and businesses around the world. I joined because I want to share my experiences and learn from other leaders about good practices in terms of tourism sustainability. Community-based tourism products and experiences are in high demand. Less known are destination management organizations run by communities, bottom-up. Having been involved with one such initiative since 2011, (how) does this work? It is very complex that a destination can be developed in a sustainable way, if the local community and its heritage have not been considered in the initial designs. In October 2009, after living one year in New Zealand, I began to promote this type of initiatives in the Pan de Azúcar National Park in northern Chile. Then, in 2011, I designed for another national park, Llanos de Challe, a proposal based on the community which could not advance due to lack of funds. From those experiences I learned a lot, which I can now apply in Natales and soon in other destinations in Chile. I am promoting proposals that are administered by the municipalities, adapted to the Chilean reality. Your 3 bits of advice to destination developers and managers in Chile who’d like to improve the sustainability of their destination? Understand that tourism is not an industry free of social, environmental and economic impacts. Understand that tourism cannot by itself maintain the entire economy of a community. And: sustainability is a journey, and not a goal. 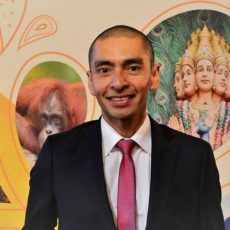 Connect with Felipe Vera Soto on LinkedIn. Enjoyed our interview with Felipe Vera Soto on sustainable tourism initiatives in Chile and how the award-winning community of Natales approaches destination sustainability? Spread the word!